Larry Lee was a very humble much trusted and highly respected leader for Western Airlines back in the days especially prior to and during the merger with Delta Air Lines. Lawrence H. Lee, known to friends as “Larry”, was born in 1927 in Santaquin, Utah. He attended Bryant Jr. High and graduated from East High School in Salt Lake City, Utah. During World War II he joined the Navy and served in the Pacific Theater in the Naval Air Transport Service. Larry began his airline career in 1943 at the Salt Lake City Airport as a baggage handler for Western Airlines. During his career, he worked in many different field and administrative positions. In 1982, as Senior Vice President Transportation Services, he established Salt Lake City as Western’s first major “hub” operation. In 1983, when Western Airlines was suffering financial difficulty, he accepted the position of President and Chief Executive Officer. During the next few years, he designed and implemented a plan that resulted in a dramatic financial turnaround of the airline. 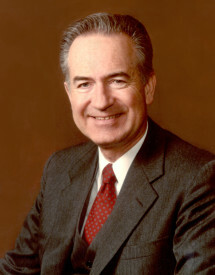 Having proven the value of the Salt Lake City “hub” and establishing record profits, Western became an attractive merger entity and was sold to Delta Air Lines in 1986, shortly after Larry retired as Chairman of the Board. Larry received his MBA degree from California State University Domingues Hills and later served on the President’s Advisory Board. He also served on other State and National boards and was involved in several business, civic and cultural organizations in Utah. During his lifetime, Larry served in various service and leadership roles in the Church of Jesus Christ of Latter-day Saints, including Bishop of the Scottsdale, AZ Ward, and missionary in London, England with his wife, Marjorie. He also presided over the England Leeds Mission. Larry’s hobbies and interests included playing guitar, jewelry making, cooking and chocolatiering. In his retirement years he enjoyed writing and became a lyricist and award-winning poet. He married Marjorie Anne Lewis in 1946. They were married 71 years. Surviving Larry are his three children, Richard (Suzanne – Bonner’s Ferry ID); Stacy Shelley (Rick – Tempe, AZ); Randolph (Laura – Longmont, CO); eleven grandchildren, 29 great-grandchildren and one great-great-grandchild. He was preceded in death by his wife, Marjorie, his parents and his brothers; Thomas, Rector, Fredric and Harry. The funeral will be held on Saturday, November 4th, 2017, at 11:00 am, at the LDS Salt Lake Stake Center, 142 West 200 North, Salt Lake City, UT, 84103. The family will receive friends at a visitation at Larkin Mortuary, 260 East South Temple, Salt Lake City, UT, 84111 from 6:00-8:00 pm on Friday, November 3rd, and at the Stake Center an hour before the funeral service. Burial will be in the Provo City Cemetery. Marjorie Lewis Lee passed away July 12, 2017 from causes incidental to age. Richard (Suzanne – Bonner’s Ferry ID); Stacy Shelley (Rick – Tempe, AZ); Randolph (Laura – Longmont, CO); eleven grandchildren, 29 great-grandchildren and one great-great-grandchild. She was preceded in death by her parents and brother, Frank Lewis. The funeral will be held on July 22, 2017 at 11:00 am at the LDS Salt Lake Stake Center, 142 West 200 North, Salt Lake City, Utah, 84103. The family will receive friends at a visitation at Larkin Mortuary, 260 East South Temple, Salt Lake City, Utah, 84111 from 6:00 to 8:00pm on July 21, 2017 and at the Stake Center an hour before the funeral service. Burial will be in the Provo City Cemetery.